Artisan Slabs — Eutree Inc.
No cut of wood reveals the natural beauty of wood like an awe-inspiring slab. 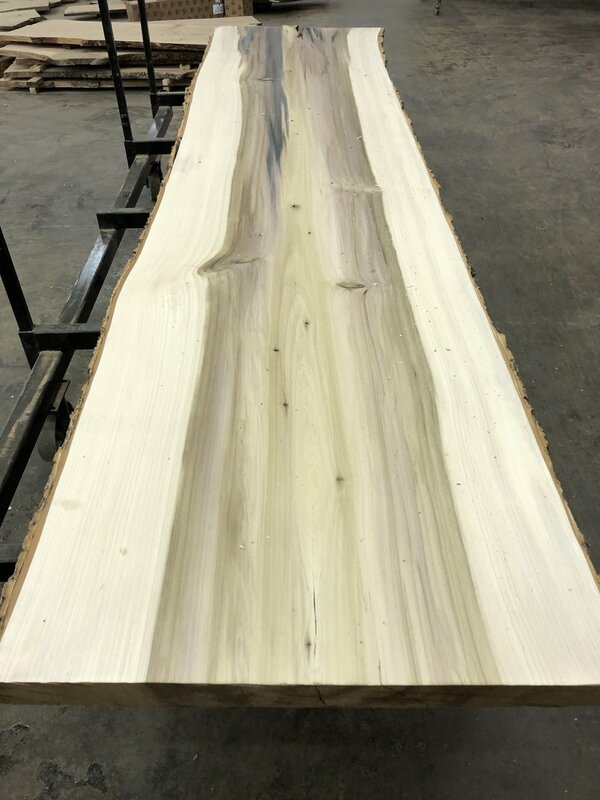 Eutree's generously cut live edge slabs showcase the magnificence and character of the source tree and are ready to use for centerpiece projects such as tables, benches and countertops. The artisan slab lends itself particularly to Eutree's Root-to-Fruit program. That's our term for projects that return the wood back to the property from which it came, giving it new life in the same location. We've built relationships both with tree services and some of the finest furniture craftsmen in Georgia to help complete the Root-to-Fruit cycle. If you're a furniture maker or fine carpenter, or if you're a design professional whose projects might benefit from spectacular, Forest Free artisan slabs, we've love to get to know you. Tell us more by using our Plan Your Project form. Or if you'd simply like to learn more about our slabs and to build a relationship with Eutree, contact us at 678.313.4110 or email hello@eutree.com. Our inventory features a wide variety of species and is frequently updated. View our sample gallery below.